Krakow’s bus and tram stops have a new feature – talking information points for the visually impaired. Seventy of the bright orange information points have so far been installed across the city. 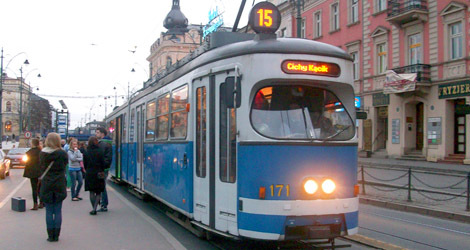 The installation program is part of the Development of Public Transport Management System in Krakow project, which has a budget of 47 million złoty (about 11 million euro), of which 32.6 million złoty (nearly 7.5 million euro) is from European Union funds. Another 205 of the accesibility points are due to be installed by the end of 2014, which covers about 95 percent of public transport stops in Krakow.